ah that's a shame, on Dolphin you can view the call stack. So what shuffle2 is saying is to identify the function that prints the string using the IPL font and following the callstack back/registers to identify the location of the string/etc. If you want you can send any text my way; a friend and I will look over it for you. I tried extracting it myself, but got confused. Would love to see this come to fruition, I'll be waiting. @emu_kidid: Thanks, I think I've got the idea now. Just need to familiarise myself with Dolphin debug mode and the memory map. Hi, my name is Puutan. I'm a Japanese fan of Homeland for years. One of my friends told me about this forum and I want to do some help. I can read and write Japanese, and English too (I suppose.) Of course I know about this game. But the problem is, I know nothing about programing or about Dolphin at all. I'm not sure even how to use this forum king of things. I hope I can post this, and make myself understood. I started making some guides in English in my blog in 2010, but I recently feel the limit of doing this in a blog. It is pleasing for me to make such guides with a friend's help who always corrects my English. However, the blog forces players to read loads of explanations, and sometimes it is difficult to find particular information among many articles. If a player can play this game in English itself, that will be the best. I believe translating or programing works might require lots of patient and time (even some years). But I cannot help dreaming about fans in abroad play Homeland by themselves. Is the problem about programing? Or translating? At least, I think I can help the latter. If this project is not ended, and if there is something I can do, please let me know. The most certain way is send me a message from the mail form in my blog. URl of my blog is below. I've just put a rough translation too. start.rel	00014894	47	おとこのこと おんなのこ。どちらではじめますか？Which do you start with, a girl or a boy? start.rel	000148C4	25	なまえを つけてください。Please name your character. start.rel	000148E0	60	メモリーカードに すでにある おなじなまえは つけられません。You cannot use the same name which already exist in this memory card. start.rel	00014920	36	このなまえで ぼうけんを はじめます。Your adventure will start with this name. start.rel	00014948	59	メモリーカードに あたらしい ぼうけんのきろくを つくります。A new data of adventure is made in this memory card. start.rel	00014D3C	32	データをけしてもよろしいですか？ Is it OK to erase this data? start.rel	00014D60	42	ほんとうにデータをけしてもよろしいですか？Are you sure of erasing this? start.rel	00014E68	32	データをけしてもよろしいですか？Is it OK to erase this data? start.rel	00014E8C	42	ほんとうにデータをけしてもよろしいですか？Are you sure of erasing this? start.rel	00015404	51	ネットせっていがめんにうつります。<LF>よろしいですか？Is it OK to go to setting screen? nice! i'm def. still kind of working on this so you'll be on my list of translators for sure! @Puutan: thanks for your kind offer, but the problem at this stage is more about programming. The Japanese text is in Shift-JIS encoding and it is scattered throughout the game files. Also, it is very hard to find where a text string starts and ends. This will require good programming or technical skills - or a lot of time (maybe months) - to locate all of them (there are thousands). When it is done it will not be possible to play online except on a modified GameCube (the Dolphin emulator does not support the Broadband Adapter). well, this will be a dream for a long time i guess. 1. Are the official servers still running and that's how everyone plays? If so, we may need someone to reverse them while they're still around. 2. You don't need the original programmer, just need someone who can understand enough of the foreign text to identify a proper way to extract all the strings, have them translated then put back in. btw, if somebody got a good config for running this on dolphin, let me know please!! liquitt wrote: btw, if somebody got a good config for running this on dolphin, let me know please!! after a lot of messing around with the setting i got it to run with the version of dolphin i have, but no sound. Hi. One of my Japanese friends knows the software CrystalTile2, and he showed me this picture. That friend is not an expert of programing (he says), but some of my friends know about programing better. I'm not sure they would have enough time to help me about this, but at least I can ask them. I'll pleasingly translate those thousand of Japanese text, and one of my friends would put them into the file or something. If there is some progress, I'll let you know. Bty, we always play homeland online with IP connection via a matching website page made by a fan. Homeland online play is officially over in 2007.
i can find tons and tons of text strings in there, but as i said, no idea where they start or end. I put this up on the Dolphin forum some time ago, but I don't know if it was ever added to the list. The essential setting for me was the JITIL experimental recompiler (I don't know why it works, but I don't ask questions). I know this topic has long since gone silent, but I was thinking about Homeland the other day and thought I'd pop in and ask something. I followed this for a while when is was active, but I was never clear as to whether it halted due to the text files being jumbled or a programming issue. Either way, has anyone made any progress on either getting in or finding someone with the necessary technical knowledge? 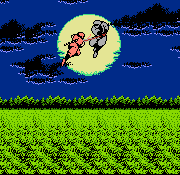 Puutan's walkthrough is nice, but I've been dreaming about this game in English since before it came out in Japan. Even just playing the single player portions would be a dream come true. Romhacking has a help wanted section as well. Also, according to the website, dolphin emulates the BBA (though I have no way of testing this), and in the most recent build (4.0-1239), I got running smoothly on a 2 year old laptop. toastwithjam wrote: I know this topic has long since gone silent, but I was thinking about Homeland the other day and thought I'd pop in and ask something. nope, nothing happened here. some people with technical knowledge were found (not me, haha) but never replied again etc. I sure hope you do. Looking back through here, it seems to me that text insertion was straightforward, so the main issue was the text being all jumbled up, and I anticipate this would still be the main issue, but it looked like there were people lined up to translate, and the main text related hacking stuff looks like it's mostly been dealt with if the issue there was just the BBA. I just hope this can get up and moving. There are some really sucky games getting translated while this game sits waiting. Hey, just a follow up. I beat a scenario to unlock the online mode, and I was able to set up a god server (basically looked like the round guy floating on a cloud above a world map), but I was unable to connect to the server using another computer. I copied my save file and had someone else do the god server while I tried to connect to their IP, but I couldn't connect for whatever reason. So the good news is that it does connect to the internet, but either I am doing something wrong or there are problems with connecting. Could you possibly upload your savegame? I'm running Homeland off a flashdrive on my wii, and for some reason it corrupted my save when I died at the fight vs. Nanashi in Dream World. It took me about 5-6 hours and I'm back in Yumedamari, but if you have a save that already has God mascot unlocked, it'd help alot for testing. Excuse the double post please. I was looking at the English guide over at http://homelandenglish.blog130.fc2.com/ ... ry-10.html And I'm not seeing all the maps. I'm only seeing the pretty useful ones. It'd be great if the people who can get a server going could screenshot the maps from the god's view, because I know when I was first starting it was really hard to know where I needed to go, and what leaded where. toastwithjam wrote: Hey, just a follow up. I beat a scenario to unlock the online mode, and I was able to set up a god server (basically looked like the round guy floating on a cloud above a world map), but I was unable to connect to the server using another computer. I copied my save file and had someone else do the god server while I tried to connect to their IP, but I couldn't connect for whatever reason. So the good news is that it does connect to the internet, but either I am doing something wrong or there are problems with connecting. Are you using Dolphin, or a real GameCube?